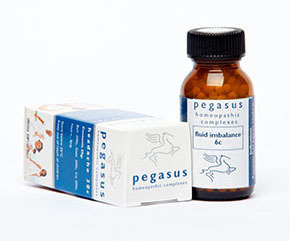 A homeopathic remedy that helps to re-distribute and balance fluids throughout the body. Should diuresis (fluid loss) be required, it has a diuretic effect otherwise it will hold on to water, distributing is as needed. profuse sweating or heat stroke. Useful for endurance athletes in prevention & treatment of dehydration (can add injury 6c for muscle soreness and stiffness). Apis mellifica 6c Excessive watery swelling. China officinalis 6c Corrects debility of exhaustion from loss of vital fluids i.e. rehydrates. Natrum muriaticum 6c Redistributes water throughout the body to where it is needed e.g. in heat exhaustion to the brain, in constipation to the colon. Natrum phosphoricum 6c Balances acid/alkaline ratio in the body, helps in water retention. Natrum sulphuricum 6c Eliminates excess fluid. In acute cases of dehydration, dose every hour for 3 doses then 4-6 hourly until stable. For oedema, swollen feet etc., dose 3 times daily as required for 3-5 days. In cases of dehydration, replacement of electrolytes is recommended as well as drinking adequate amounts of water to replace the fluids lost.